Daniel Auteuil. 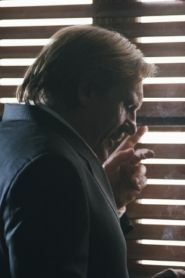 Gerard Depardieu. Andre Dussollier. Roschdy Zem. Valeria Golina. Daniel Duval. Francis Renaud. Drama. Police. Thriller. Detectives and Private Eyes. Guns. Robberies Burglaries Heists. Action/Adventure. Neo-noir. Drinking/drunk. 01 Nigel's Choice. 01 Dave B's must sees. Recommended. Rob Recommends. A morally ambivalent tale of two policemen involved in various battles; for the top job, to put an end to a violent gang, to protect their snitches and, we are led to believe, in the past over a woman. Both policemen bend the laws beyond the limits of decency to achieve their ends in this dark and gun-slinging thriller set against the backdrop of a neon-lit Paris underworld.